Nop! This is not Venice in Italy. 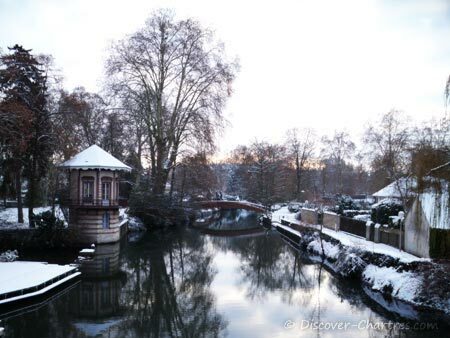 La Petite Venise or the little Venice is a part Parc de Bords de L'Eure, where you can do a river cruising along the Eure river. 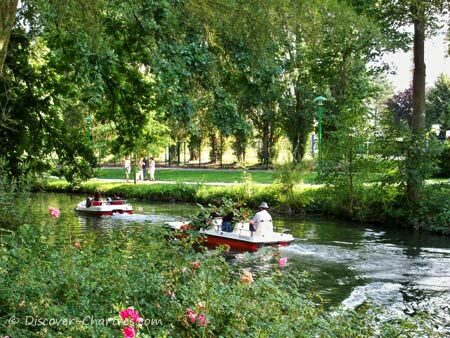 From its name we know that Parc des Bords de L'Eure is situated in the Eure river bank with 1.6 hectares wide. 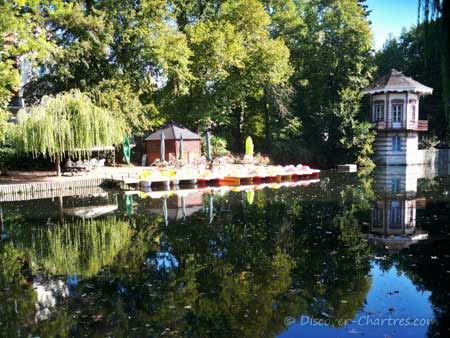 If river cruising is your intention, once you are in Parc des Bords de L'Eure, you should go to the rental service where you can rent a mini boat, canoe or pedalo. Please notice that the rental service is NOT all the year open so be sure to check first their opening time. 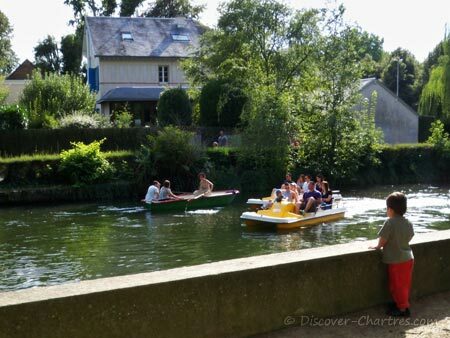 Mini boat or Canadian canoe: Maximum for 4 persons, 10€ for 30 minutes - 16€ for an hour. 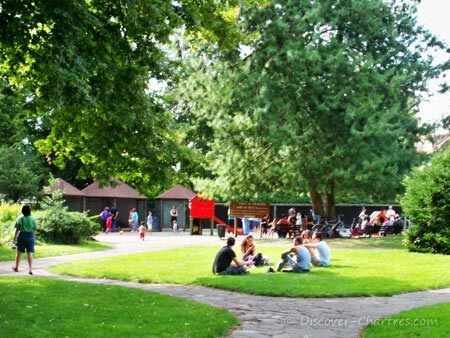 A shady green public park with country side atmosphere... this should be a nice place to relax with family and friends. The park has always more visitors in spring and summer seasons. 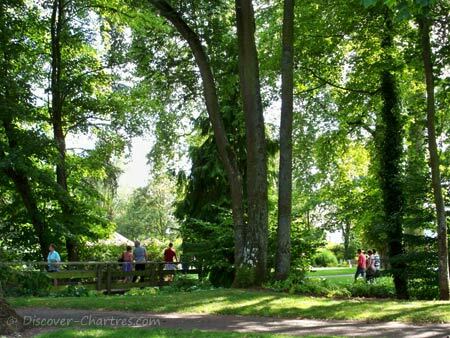 Free entry... but as always, be sure to check first the opening hours of Parc des Bords de L'Eure. I often spend my afternoon time with my children and friends here. 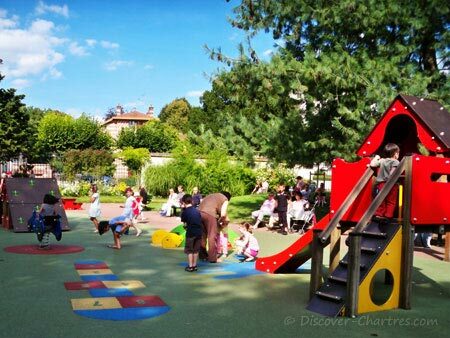 My kids love coming here to play in the playground. Feeding mallards and swans with breadcrumbs are their favorite fun...also playing in the playground. 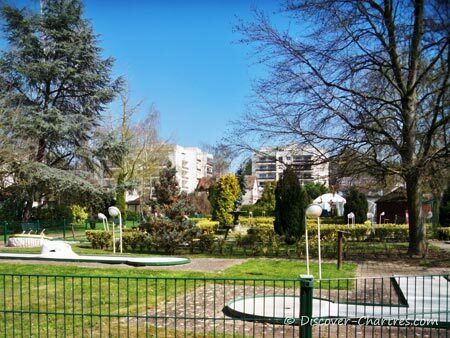 There are two types of playgrounds in Parc des Bords de L'Eure - one for young children between 3 - 6 years old with a tiny hut with a slide and some others. 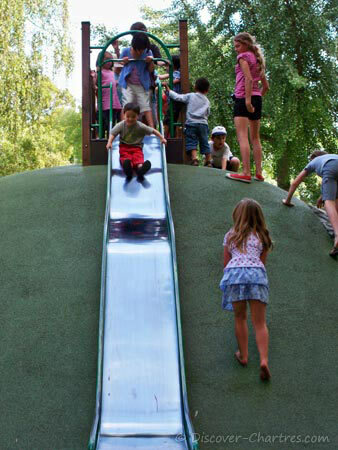 Another one is a higher slide - for children more than 6 years old. My 3 years old boy like so much to play on this slide though... And when I forbid him to do so, he says "I am a big now, mum!" All I have to do is going back and forward to make sure that he is all fine. My boy sliding on the higher "tobbogan"
Please note - it's forbidden to feed the animals with on-site plants. 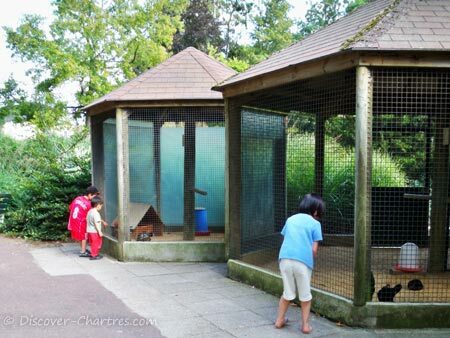 The kids enjoy discovering some various fowls such as birds, chickens, pheasant, turkeys which are placed in cages and also wild ducks - mallards and swans swimming on the river. 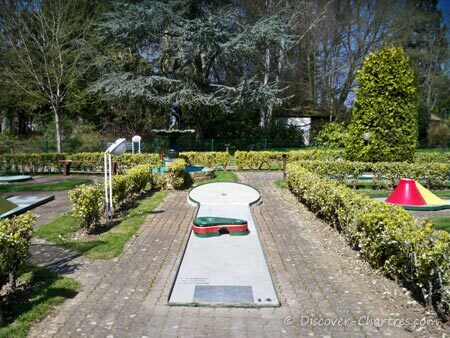 The fun is not only for kids - but also for the whole family for example playing in the mini golf course. 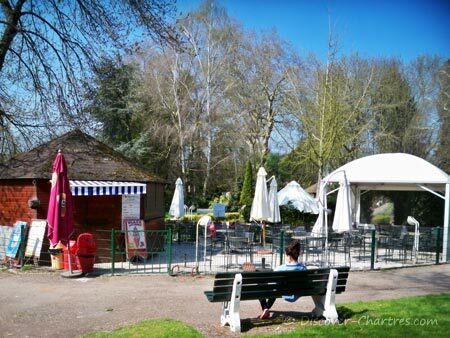 If you need a snack or drink, there are two small huts that selling ice cream and snacks, plus another one on the access way to pedalo boat rental. We can drink and eat on site or take away. May to August: from 7.30am - 9pm. March, April, September, October: from 7.30am - 7pm. Every Saturday and Sunday the park always open from 8am. 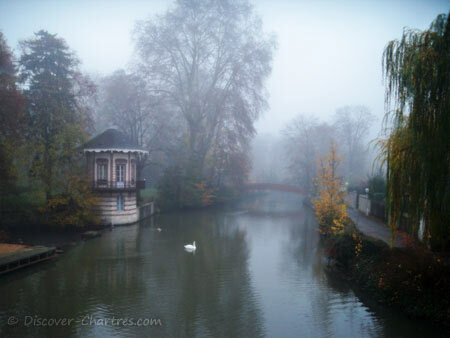 And still more pictures of Parc des Bords de L'Eure and La Petite Venise.